For those of us who came of architectural age at a certain moment, the writings of Sir John Summerson (1904-1992) hold a special place in our hearts. No one ever wrote with greater grace about architecture. 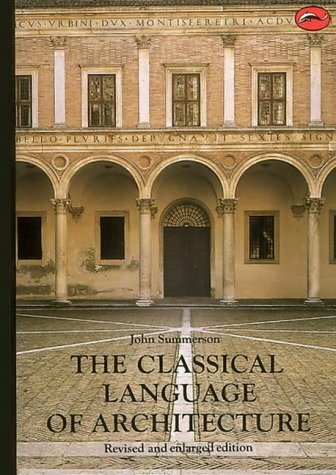 Summerson's The Classical Language of Architecture is an essential ICA&CA text. Though Summerson himself had modernist sympathies, he put the case for classical architecture in such a way as to render irrefutable the claims of those who see it as a living tradition. Besides that book, Summerson wrote much else, not least a book people of my generation have read with the deepest pleasure, a volume of collected pieces, not even amounting to an adumbration, Heavenly Mansions (1963), that in its exegeses of Sir Christopher Wren, John Wood the Elder, and Viollet-le-Duc made each of these people, whom we should know all about anyway, into almost canonical names, simply because Summerson wrote about them. See also his Georgian London, containing some of the best architectural descriptions you will ever read. 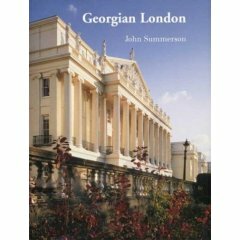 Summerson was also from 1945 to 1984 the curator of Sir John Soane's Museum in London. Thus it is that the name of Joseph Gandy resonates with some of us. Not because we had an early encounter with Gandy, but because we had an early encounter with Summerson on Gandy. Because Gandy, and not Soane, got an essay in Heavenly Mansions, some of us first visited Sir John Soane's Museum first and foremost to see the drawings of Gandy, Soane's master draftsman and the second greatest architectural fantasist of all time, after Piranesi. A great architectural writer can write with grace about the links between architecture and other arts. 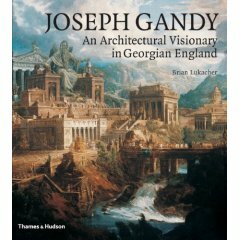 Joseph Gandy may never be placed very high among the artists of early 19th-century England; but in his own particular kingdom--the kingdom of architectural fantasy--he reigns absolute. And that kingdom has its own unique constitution. This local sovereignty makes Gandy, in a sense, the companion if not the peer of Wordsworth, Coleridge and Walter Scott. 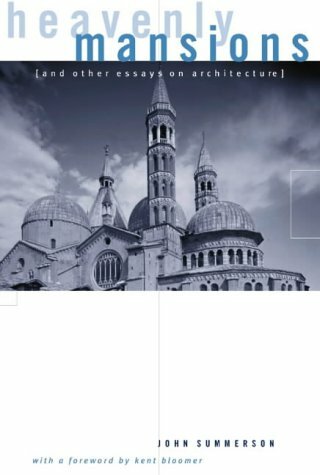 Their work parallels his and sometimes touches it--as when Gandy, in 1807, showed Roslin Chapel as Scott had described it, two years before, in the 'Lay', glowing in the spectral light which presaged the death of the lovely Rosabelle. But there Gandy is an illustrator--an inspired one, perhaps, but still a worker at second hand. It is in his wholly independent creations that he is most admirable, and rises nearest to the level of his great contemporaries. The cottage designs, slight though they are, constitute a really extraordinary penetration of an architectural convention which, in 1805, was not by any means in decline. They are the work of an artist-critic not far removed in feeling from the Wordsworth of ' Michael' and ' Peter Bell'. Then, in the Tomb of Merlin and perhaps also in the Origin there is that Coleridgean echo which we have already observed. Through July 22, the Richard L. Feigen Gallery is presenting the must-see exhibition Joseph Gandy: Visionary Architect. According to the Feigen web site, "At once the English Piranesi and the William Blake of architectural design, Gandy may now be viewed on his own terms in the first exhibition of his work to be held in North America." This is pretty special stuff. 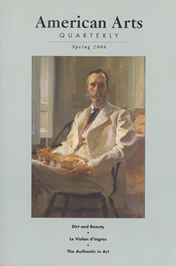 The show coincides with a major monograph, Joseph Gandy, An Architectural Visionary in Georgian England (Thames & Hudson, 2006) by Brian Lukacher, Professor of Art History at Vassar. 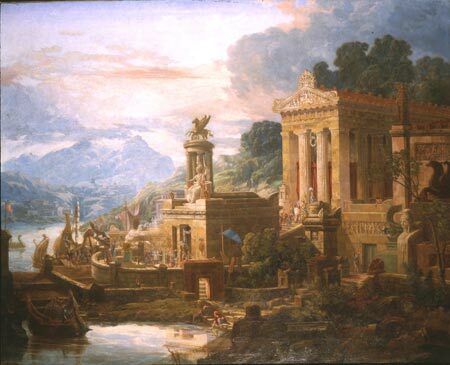 Works in the show have been drawn from Sir John Soane's Museum, the Yale Center for British Art, and other collections. 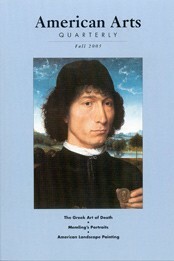 I am rather curious as to why the Feigen web site does not have the gallery's address. Is it an oversight--or a subtle form of snobbery? I hope the former. At any rate, I'm releasing the cat from the bag: The gallery is at 34 East 69th Street, between Madison and Park Avenues, and is open Monday to Friday from 10am to 6pm. Architecture is a chained and fettered art. Far from being 'frozen music', it is an art constantly attempting to realize in solid, stable form those effects which music is able to conjure up in an instant--effects which succeed each other rapidly during the progress of a musical work. Music can attain the colossal in a way which, in architecture, only the rarest opportunities render even remotely possible. Music can, in a few moments, admit us through vast portals into avenues, courts and halls of infinite extent and variety. Music can suddenly raise up an entire structure and, by the device of modulation, lift it on to a podium, abruptly recess its façades and turn them bodily into the sunshine. Music can etch silhouettes ten times more intricate than those of Dresden or London City, repeat them, increase or reduce them, hurl them into the distance or bring them before us in precise detail. Most of the essentials of architecture--mass, rhythm, texture, outline--are within music's power. Almost, the two arts are the same art, the one able to express nearly everything which the imagination is capable of conceiving, the other bound by the rigours of economy and use. But has not architecture its own special attributes, which are no part of the world which it is music's function to create and recreate? Certainly it has. Architecture, by virtue of its actual limitations, can exploit our capacity for dramatizing ourselves, for heightening the action of ordinary life; it can increase man's psychological stature to an angel's. All this it does through its irrevocable attachment to function. The dramatizing of movements appropriate to architecture (and impossible without architecture), movements like entering through a door, looking out of a window--mounting steps or walking on a terrace--is something with which music has nothing to do. Here is architecture's special province which on the one hand constricts its movement and on the other intensifies its meaning. In an architectural analogue to musical space, commuters entering Grand Central Terminal in New York from 42nd Street pass through a low vestibule into the generously proportioned Vanderbilt Hall, continue through a Piranesian passage where ramps lead to the lower levels, and finally emerge onto the great concourse, a crescendo worthy of Beethoven. It is not only the spaces themselves that impress us, but the way the elements enclosing them are organized compositionally. We see walls, floors and ceilings punctuated by openings and organized proportionally by the classical orders--the exact opposite of randomness. In the same way, a musical space has a hierarchical structure--'the essence of which is groups combined within groups'--with parts forming wholes that are themselves parts of larger wholes, extending from the microcosm to the macrocosm. Just as pictorial-spatial perspective orders the structural hierarchy of an architectural work, so the sonic perspective afforded by tonality orders the individual tones into coherent music. Good stuff. The excellent American Arts Quarterly puts a few teasers up on the web with each issue, but Steve's piece isn't among them. You'll have to subscribe, but I imagine anyone reading this blog would want to subscribe anyway. Such outstanding writers on the arts as Frederick Turner and Meredith Bergmann are regular contributors.